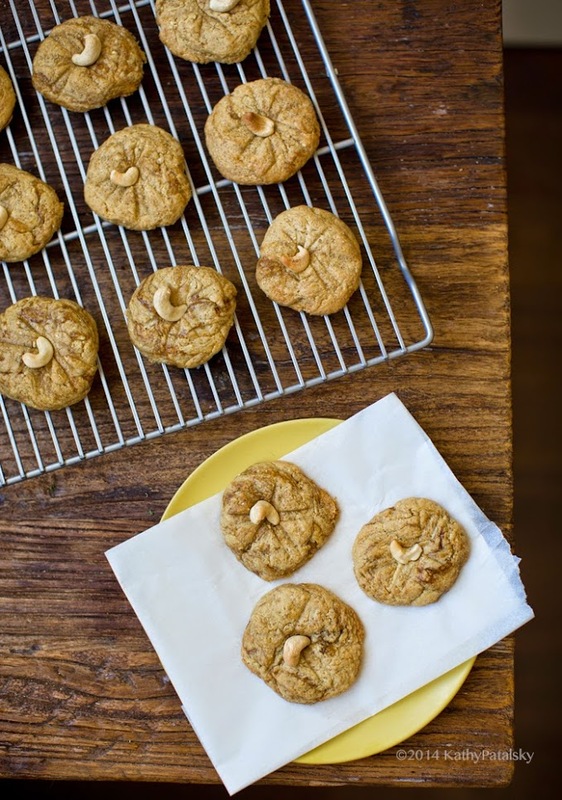 "Cashews Just Want to Have Fun" Cookies. Warm and Chewy! 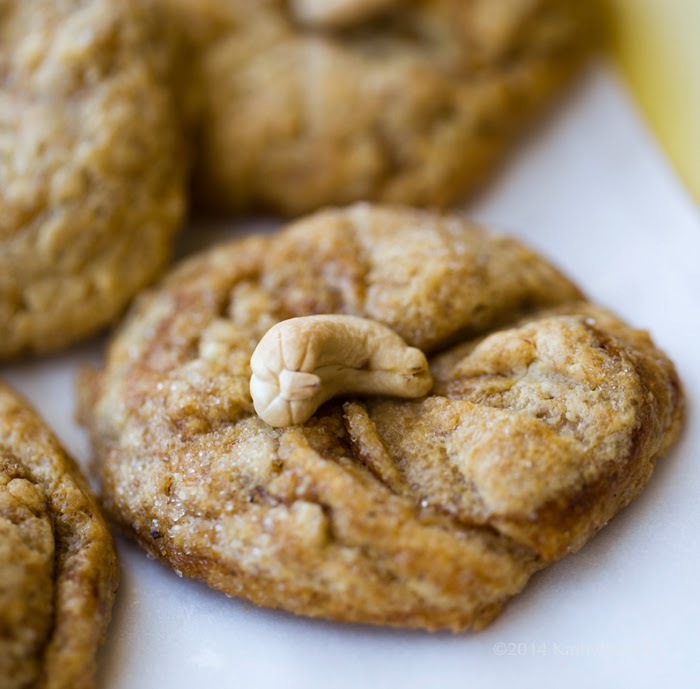 These lightly spiced Cashew Butter Cookies are dreamy, nut buttery and hinted with vanilla, cinnamon and ginger flavors. A swirl of optional blackstrap molasses adds some complexity and a boost of plant-based iron. Coconut oil adds richness and gluten free ingredients throughout. Let your cashews have some fun in the kitchen today! It starts with this fresh cashew butter blend..
Cashews Just Want to Have Fun! Cookies.. 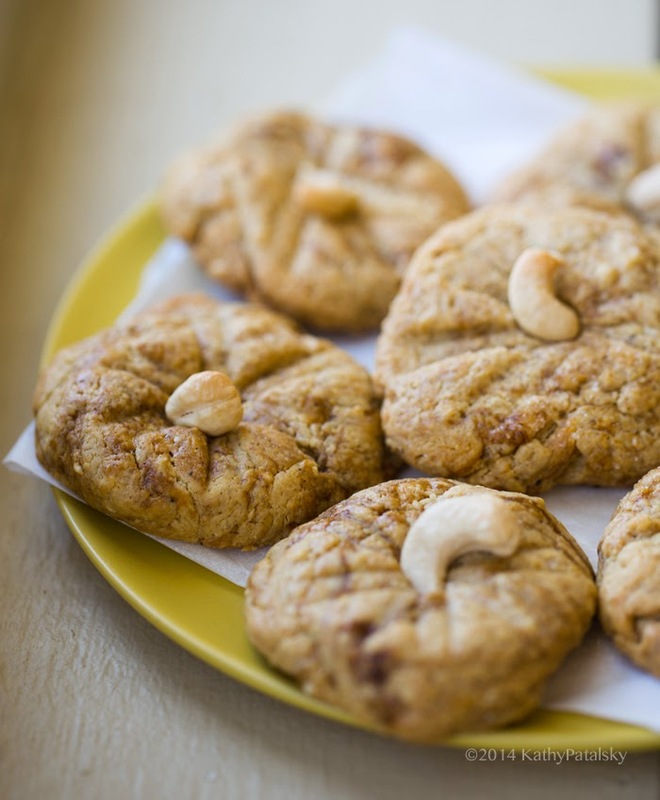 These cashew cookies taste insanely amazing, and are vegan, gluten-free. Hints of spice and everything delicious. 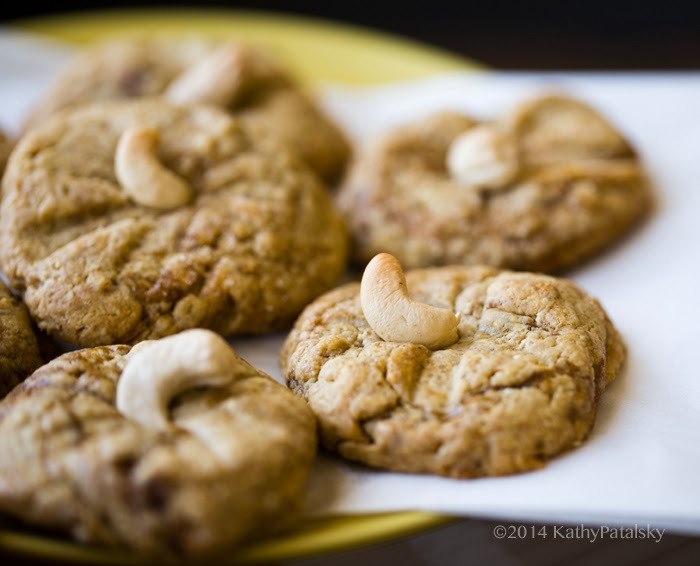 Give cashews a piece of the cookie spotlight! Preheat oven to 390 degrees. Grease a baking sheet and set aside. Add the raw cashews, coconut oil and maple syrup to a food processor or blender. I used my Twister jar for the Blendtec. Blend from low to high until smooth, about 2 minutes or so. 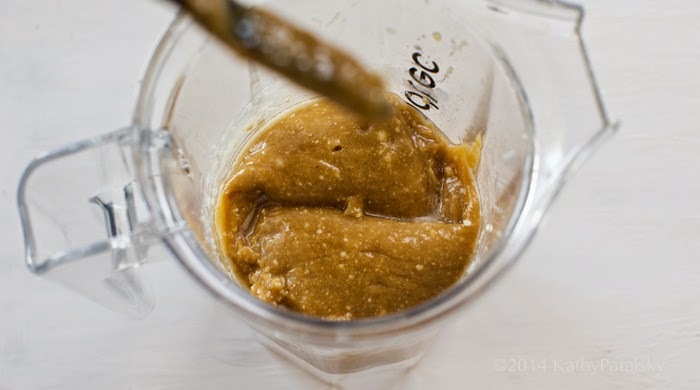 Pour the cashew butter mixture into a large mixing bowl, it should be nice and thick, yet silky. Add in the flour, salt and spices. Fold until combined. Lastly, add in the molasses and lightly fold to "swirl" it into the dough. The chilled temperature of the molasses helps to firm up the dough just a bit too. 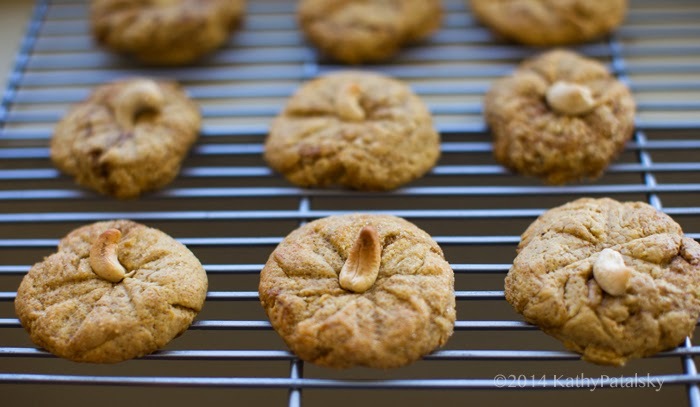 Roll the cookies into balls and roll in a bit of vegan sugar (optional) then place on the baking sheet. Press down on each dough ball with a fork or spoon to flatten a bit. 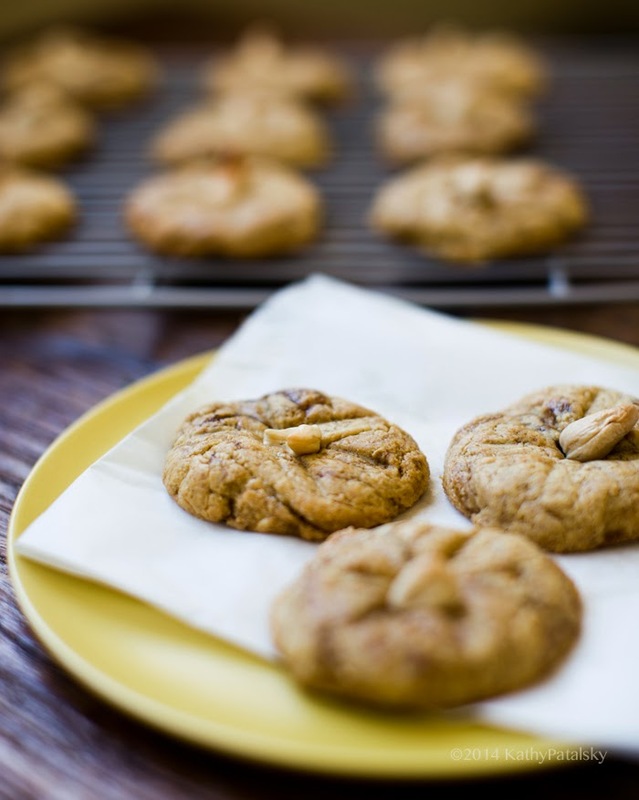 Top each cookie with one raw cashew. Bake at 390 degrees for 15 minutes. Allow to cool on a baking rack for at least ten minutes before serving. Store in the fridge and warm to room temperature to serve.